When inspiration meets function, your kitchen will be transformed into a beautiful environment in which you can truly enjoy your culinary experiences. 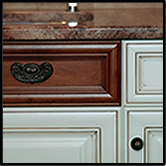 Our skilled designers will guide you through decisions as you choose the style of cabinetry, hardware and accessories. We want your room to create the mood and feeling that is comforatable and functional for your family. Your home is at the heart of your most cherished memories…raising the kids, visting with family, entertaining friends, reflecting and relaxing. Many times, the atmosphere within the home sets the mood for daily life. Creating a pleasant environment in your home is the beginning of enriching the quality of your life. 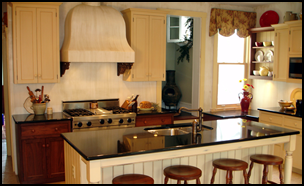 CabinetDesign: Don’t wait; begin your journey towards enhancing your home by scheduling an appointment with one of our designers or by visting our showroom.